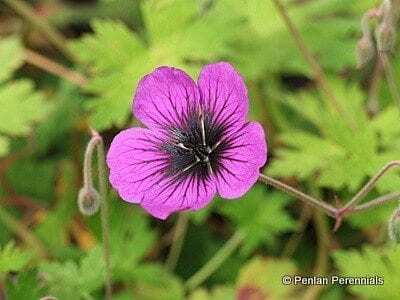 This new geranium was bred in France and is similar in habit and growth to Geranium ‘Ann Folkard’, but with flowers which are double the size (5cm/2″ in diameter). The flowers are an Intense dark purple with a black centre and are massed over foliage which is bright yellow in spring, turning green as the season progresses. It grows well on walls, banks or sunny borders and is equally at home when grown in large pots or tubs. 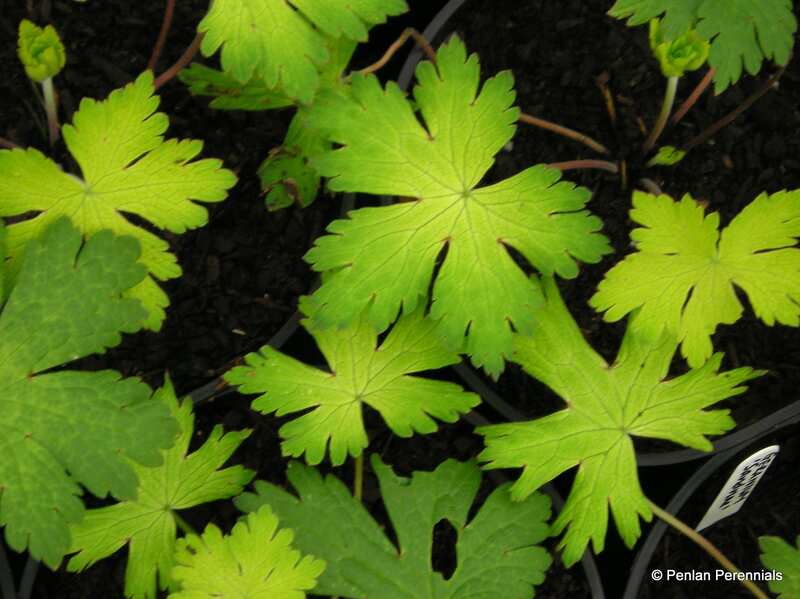 Herbaceous, so only needs to be tidied up in spring, when it also benefits from a general fertiliser. Spring is also the best time to divide the plant to propagate new plants. Sterile, so does not set seed. This variety is new to me but I liked the description of its heritage so thought it was worth a try. The plants arrived this morning less than 48 hours after I placed the order; they were very well packaged and look to be good quality and well established – so I give them 5 stars so far! Plants arrived yesterday, very well packed and plants looking very healthy. Excellent service and excellent courier service. Not planted yet, but looking forward to plants bulking up ready for next year.